What happens when gravity-based support structures are installed in rough sea conditions? What is the cushioning effect of the soil during touch-down? How will the dynamic response of the foundation be in transport when towed? 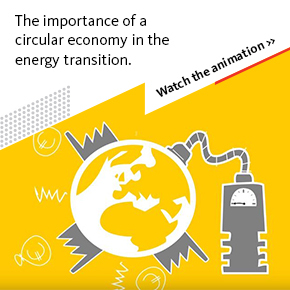 And what is the impact of the various logistic strategies to the cost of energy? A consortium of MARIN, Deltares, Witteveen + Bos, Vuyk Engineering and ECN has set up a Joint Industry Project to investigate the critical aspects in the transportation, installation and project logistics of gravity-based support structures for offshore wind turbines. 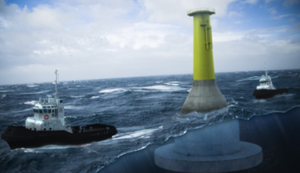 Gravity-based support structures (GBS) are heavy structures (often concrete) that are sunk and placed onto the seabed to provide support for offshore wind turbines. A group of ten leading industry partners, comprising civil contractors, wind farm developers and foundation designers have joined the project. Current GBS foundations have mostly been installed in calm seas. The increasing size of future offshore wind farms requires longer spells of favourable weather conditions for the installation of GBS systems. In this project, transportation to the wind farm site and installation is simulated and tested at the wave tanks of MARIN and Deltares for more stringent conditions. This will lead to more insights in the operational weather limits for transport and installation of the foundations. The findings and suggestions will be bundled in a handbook for industry. The role of ECN in the project is assessing the impact of the different transport strategies on the cost of energy. ECN developed an offshore installation planning tool ‘ECN Install’ to calculate and improve the installation of the large offshore wind farms. ECN will extend the modelling capabilities of this tool to include analyses on GBS, including the onshore logistics like manufacturing and loadout. For more information on this project, please contact Peter Eecen via our online contact form.